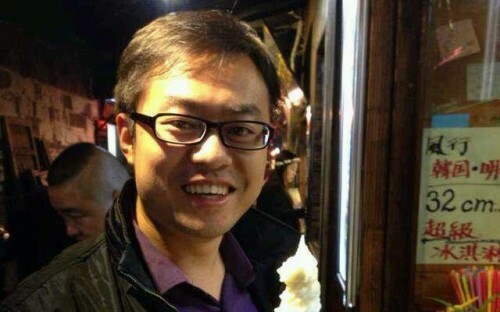 Besen Fu worked in Human Resources for a Chinese construction company in Angola before an MBA at China Europe International Business School (CEIBS). Since completing his degree, he’s relocated back to China and switched to the tech industry with a top HR job at Microsoft. Once Besen decided on an MBA, completing the GMAT in Africa proved a challenge. With the main language in Angola being Portuguese, and with most locals not even knowing what an MBA was, he struggled to find like-minded people to do his test prep with. It was also a challenge to find GMAT exam locations in Angola, or get hold of GMAT-related books. Besen managed to navigate the hurdles however, and was able to complete his application and join CEIBS in 2014. The CEIBS MBA—ranked among the best in Asia by the Financial Times—provides expert insight into Asian markets and has a dedicated career support center all geared to helping MBA students forge their dream career on graduation. For Besen, who was looking to broaden his horizons with an MBA, CEIBS proved the perfect enabler. He joined Microsoft’s leadership development program after graduation. How did your MBA help you land a job at Microsoft? With CEIBS’ reputation as a top school it’s one of the b-schools that Microsoft recruits from for their leadership development program (LDP). Fortunately for me, I was lucky enough to get into the program this year. I was able to demonstrate my creativity, growth mind-set and potential. Since joining, I’ve also joined the Microsoft Academy of College Hires program. This is a two-year program for sales, marketing and services group employees who have recently graduated. It’s aimed to help new hires learn how the company operates and to add value as quickly as possible. I previously worked as a HR leader in Africa, and the company I worked for had around 2,000 employees. I contributed and learned as much as I could as the company grew. I wanted to do more, but found that I was only able to focus on HR. My thinking space was limited because I didn’t know enough about other areas of business. I realized that I needed a systematic learning experience about business if I wanted to be stronger. For me, only an MBA could help. Once decided, my reasons for choosing CEIBS were simple. I wanted to study in Asia and when looking at the rankings, CEIBS is the best. The class profile showed that the school had diverse students and that alumni have great career development after the graduate. CEIBS was an easy choice! The MBA can give you a different life. It can open doors and offer new opportunities that might not be available without doing the degree. It’s a long-term investment. It’s important to choose what's right for you. Make sure you stay true to yourself and use the MBA process to help you achieve your career goals.